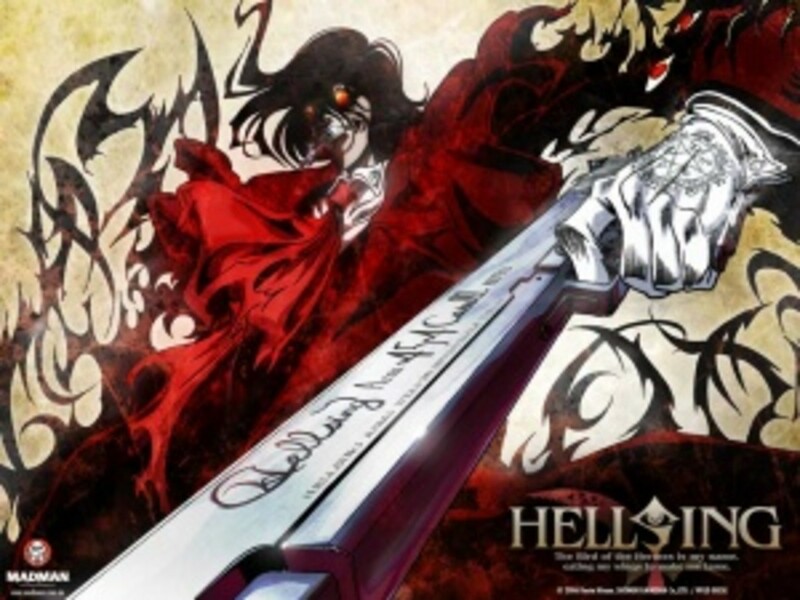 In this hub, you will find a lot of information regarding the 2 music albums called Saiyuki Reload Gunlock Vocal Albume Volume 1 and Saiyuki Reload Gunlock Vocal Album Volume 2. The track list for both albums has been provided here. You can also read up on more information about the songs from the albums as well as get the chance to listen to some sample songs. The Saiyuki Reload Gunlock anime is the sequel to the Saiyuki Reload anime. The cover of this collector's box features the Sanzo-ikkou, the 4 main characters of the Saiyuki series by Kazuya Minekura. 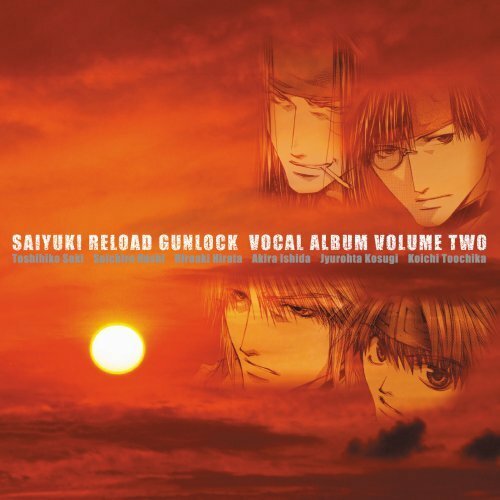 The seiyuus or voice actors of the Sanzo-ikkou (specifically Genjo Sanzo, Sha Gojyo and Son Goku) sang some of the songs in the Saiyuki Reload Gunlock Vocal Albums Volumes I and II. This hub will also be making references to the anime Saiyuki Reload Gunlock because of its relation to the music album in question. If you want more information about Saiyuki Reload Gunlock, then you can just look at this. References to the 4 main characters of the Saiyuki series (the Sanzo-ikkou) as well as information on the Saiyuki series in general can also be found in this hub. If you want some more information about these topics, then you can look at this. The Saiyuki series has an extensive collection of music with many songs sung by many different artists and there are even instrumental sounds. The music of the Saiyuki series is definitely something that is superbly wonderful and amazingly fantastic. Even if you don't understand many of the words being sung, it doesn't really retract from the beauty of the songs because the tune and the sounds that go with it and even the lyrics itself really make the songs even better. The same can be said of the music of the vocal albums of Saiyuki Reload Gunlock. It says Animation Soundtrack, but if you look at the CD cover, you'll see that this is Saiyuki Reload Gunlock Vocal Album Volume 1. There are 7 tracks in this album, of which 5 are songs while the other 2 are audio dramas voice acted by the 4 main characters' seiyuus (voice actors). This was sung by Hoshi Soichiro (Goku) & Kusao Takeshi ( Kougaiji). Kougaiji is actually one of the enemies of the Sanzo-ikkou (party / group, a term used to collectively refer to the 4 main characters of Saiyuki). He's the son of Gyumao, which means he's a full demon, but there's so much more to him than being a mere antagonist to the main characters. This song has a lively beat with a nice tune. The voices of the seiyuus are easily distinguishable even when they're both singing the lines together. There are words sung in English like 'sounding shout' and 'you can never touch me'. Considering these lines and the fact that the seiyuus of Goku and Kougaiji sang this song, this may well be in reference to the antagonistic relationship between the two characters. The two have fought each other many times since they are on opposite sides. This was sung by Daisuke Namikawa (Kami-Sama). Kami-Sama is actually a character that appears in Saiyuki Reload. He's one of the enemies of the Sanzo-ikkou, but, just like with Kougaiji, Kami-Sama has his own issues and reasons for his actions. This song starts off with an instrumental part that is a bit long but it sets off the tune of the song. The song does have a playful tone to it. Words sung in English include 'lonely play, my lonely play'. This and even the title itself may well reference Kami-Sama who likes toys and playing. He seems to view people as mere toys that he can play with. 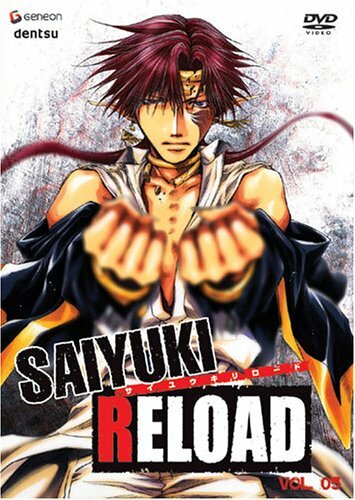 The DVD cover of Saiyuki Reload Gunlock volume 2 features Son Goku. He and Sha Gojyo fight all the time, but they really care about each other and would readily protect the other, if needed. They're like brothers. This was sung by Hirata Hiroaki (Gojyo) & Hoshi Soichiro (Goku). This song starts off rather solemnly with a bit of instrumental sounds before the singing begins. It might be a bit slow but it does have a nice tone to it. The voices of the seiyuus are easily distinguishable so you know who's singing each part. The word 'fly high' is actually sung in English. Since the seiyuus of Goku and Gojyo sang this song, it may well reference the unique friendship between the two while also touching up on flying and freedom themes, which the Saiyuki series has a lot of. This was sung by Seki Toshihiko (Sanzo). This song has a lively beat to it. It actually sounds kind of fun which is rather different since this is Sanzo singing and Sanzo is always serious. You might say he's not one to have fun at all. But the song does have a bit of seriousness to it. There aren't any words sung in English but that doesn't make this song any less nicer. Since Sanzo's seiyuu did sing this song, it may well reference Sanzo and his past. This was sung by Seki Toshihiko (Sanzo), Hirata Hiroaki (Gojyo) & Hoshi Soichiro (Goku). This song starts almost right away and it has a rather solemn tone to it. But this is a really good song with a great beat and melody. The voices of the seiyuus really blend well together but they're still distinguishable. Words sung in English include 'some day' and 'destiny'. This and also considering the fact that 3 of the 4 main characters' seiyuus are singing the song may well reference the travels of the Sanzo-ikkou as they journey to the west. No matter what obstacles they may face in their pathway, they don't let anything stop them. They still continue to move forward even if it might take them a long time before they can arrive at their destination. Ignore the incorrect Amazon title of this music album. While it says Animation Soundtrack, note that this is really the Saiyuki Reload Gunlock Vocal Album Volume 2 music album. You can see an enlarged pic of the cover above where the title is clearly stated. There are 7 tracks in this album, 5 of which are songs while the other 2 tracks are audio drama scenes voice acted out by the seiyuus of the 4 main characters. 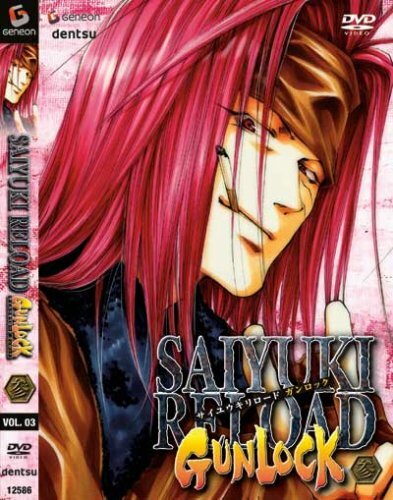 Do you like the Saiyuki Reload Gunlock series? I don't know since I haven't watched it yet. This was sung by Hoshi Soichiro (Goku). This song has a rather serious and solemn tone to it, which might be surprising since Goku's seiyuu is the one that sings it and Goku has always been known to be cheerful and sunny, even childish and definitely innocent. The word 'orange' is sung in English. The lyrics also mention words like light and sun. This song may well reference Goku who does have his serious moments, however rare they might be. And Goku does like the sun. 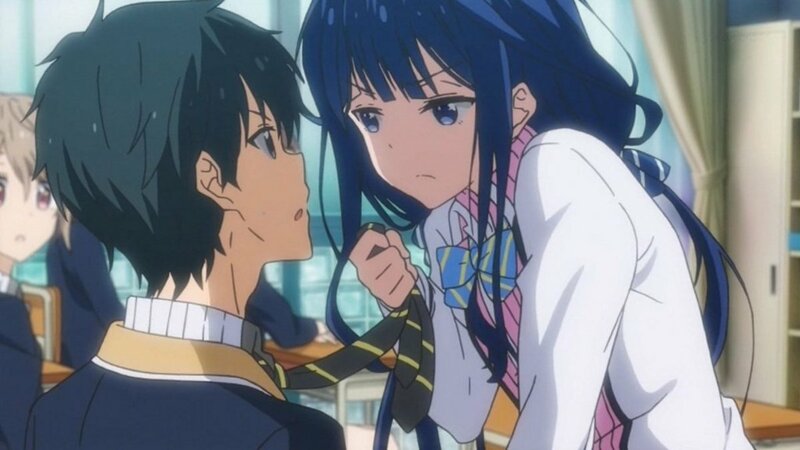 This was sung by Kouichi Toochika (Hazel). Hazel is one of the enemies of the Sanzo-ikkou and he has his own issues and reasons for doing what he's doing. The title may be in reference to Hazel who has also been known as blue-eyed angel. The song has a bit of a dark tone to it that also makes it sound solemn and serious. The song does have great meanings and it may well reference Hazel and his dark past. This was sung by Seki Toshihiko (Sanzo). This song has a bit of a long instrumental before the singing begins but the sounds really give one the impression that it is raining. There's a solemn and serious tone to this song and Sanzo's voice just adds to that. The translated lyrics hold great meaning with words and phrases like 'hesitation deep in my heart', and 'drawing this lie of a transient world'. This and other such words may well reference Sanzo and his sad, tragic past. Sanzo actually hates the rain because it reminds him of the time when his mentor and father figure, Komyou Sanzo (or Koumyou Sanzou), was killed right in front of him. This was sung by Hirata Hiroaki ( Sha Gojyo) & Kousugi Juurouta (Dokugakuji). Dokugakuji (whose real name is Sha Jien), a full-blooded demon, is actually Gojyo's older half-brother, but he's on Kougaiji's side so the two brothers are on opposite sides of the battlefield. The song has a very solemn and serious tone to it with great meaning to its lyrics. It seems to speak of brotherhood with lines like 'each of us have lived, reflecting. If sometimes we disagree' and 'in our respective places, let's smile there'. All this may well reference the strange relationship between Gojyo and Dokugakuji. The two were close as children with Dokugakuji really looking out for Gojyo but the two grew apart and went their separate ways. This was sung by Seki Toshihiko (Sanzo), Hirata Hiroaki (Gojyo) & Hoshi Soichiro (Goku). It's a very lively song with a bit of a fast beat and a melodious tone to it. The words 'get out' is sung in English. The translated lyrics has great meaning with words and phrases like 'moon looms in the west', 'go through it, living' and 'I search for the path'. All this may well reference the Sanzo-ikkou's journey to the west while also touching up on the moon, light, darkness and other such themes that the Saiyuki series is wont to focus on. 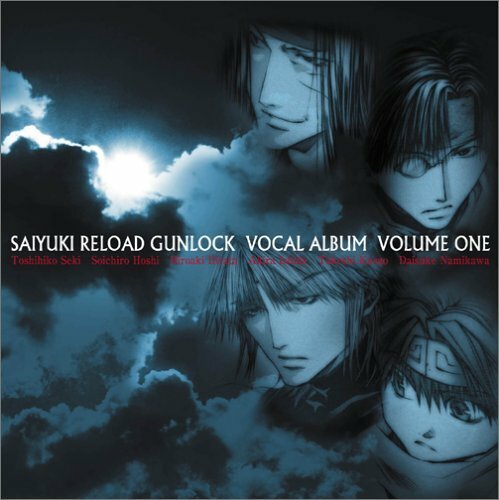 What do you think of the 2 Vocal Albums of Saiyuki Reload Gunlock? Saiyuki is a great series that isn't just filled with action and humorous moments. It also has a lot of serious scenes and it even touches on a lot of themes like life, fate, destiny, freedom and many other things. There's a lot of media for Saiyuki and all of these are definitely worth collecting. The same can be said of the music of the Saiyuki series. This includes a brief summary of Gensomaden Saiyuki, track lists of the 3 vocal albums, some information on the songs, some song samples and more Saiyuki merchandise.